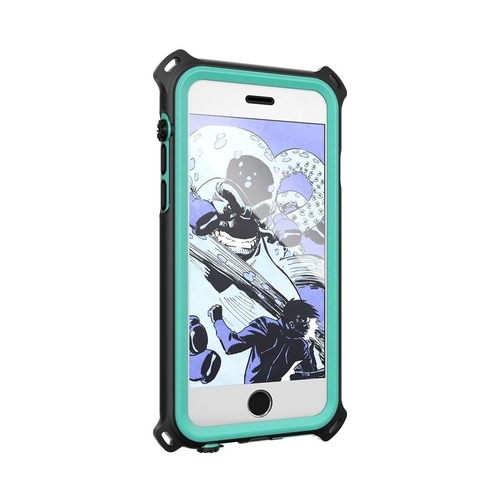 Give your Apple iPhone 6 or 6s rugged protection with this OtterBox Defender 46034BBR case, which offers speaker support, so your audio comes through crisp and clear. The tough triple-layer design allows easy access to your phone's camera and other features. FeaturesDesigned for Apple iPhone 6 and 6s For a precise fit. Triple-layer protection A polycarbonate shell, silicone skin and thermal-formed membrane guard against dings and scratches. Speaker support Allows the sound from your phone's speakers to permeate the case. Easy-access design Makes it easy to use the camera and other features on your device. Otter Box Certified Drop+ Protection 24+ tests and 238+ hours of testing means you can be sure your device is protected from the wear and tear of everyday use.